Leetside is a ferm in the paroch o Whitsam, Berrickshire. Affen times ony place by a body o watter is descrived tae the side o't. 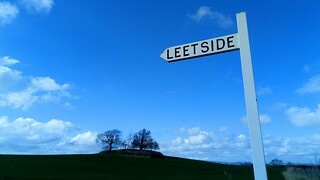 The Leet Watter runs alangside the ferm thareawa. Photie taen bi Katrina MacLeod.